Some beginners’ tin whistle videos – learn some easy Irish tunes like Dirty Old Town, Spanish Lady, or Auld Lang Syne. To learn the whistle in more detail, see Tin Whistle – A Complete Guide to Playing Irish Traditional Music on the Whistle, available on this site. 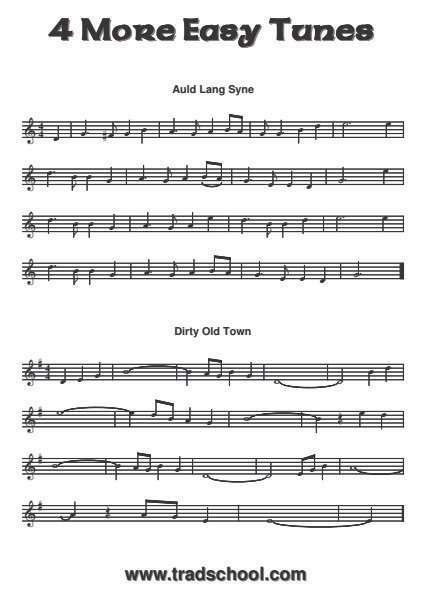 This entry was posted in Easy Irish Tunes, Songs, Tunes and tagged Tin Whistle for Beginners, Tin Whistle Tunes.